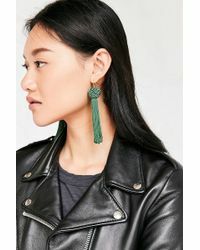 Thanks to Vanessa Mooney’s Astrid earrings, looking like you’ve dressed up (without actually doing so) has never been easier. 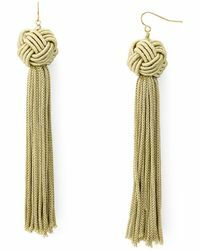 The trick? 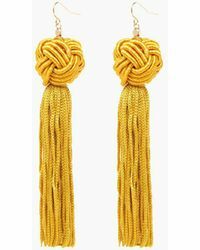 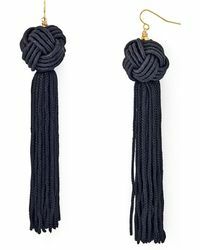 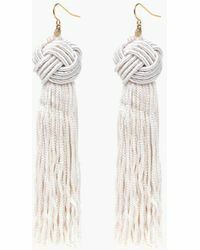 Simply add a pair of these knotted tassel earrings to your go-to jeans and T-shirt and you’ll look evening ready in an instant. 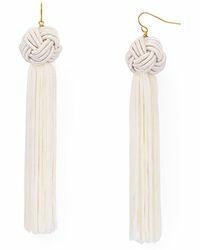 Handmade in Los Angeles, each pair of Astrid earrings will provide your look with the perfect amount of ladylike sophistication; all you need to do now is choose your favourite colour.